Whether you have good credit, bad credit, or no credit, our team is ready to help you find a great used car that meets your budget. We sell all makes and models, with great late-model low-mileage selections from Ford, GM, Chrysler, Jeep and other brands. Whether you are looking for a used minivan, crossover, convertible, truck, suv or sedan, our team will help you find the perfect vehicle for your lifestyle. You can buy or lease your next car. We also have a great service department as well to help you with your next oil change, tire rotation and more. Visit me and our team at CARite of Fort Pierce today and see why "Yes Means More" here! Meet Rob Buchner! He is the manager of CARite of Fort Pierce and is dedicated to assisting you in purchasing the vehicle of your dreams! He has 15 plus years of experience in the automotive industry and solid relationships with multiple lenders to assist you in obtaining the financing options that you deserve! Stop in today and see how much money he can save you! Good bussiness very good to work with. Jefferson es el mejor! Best of the best!Gracias Carite. Joe Rivas gave great customer service and assistance in purchasing my vehicle. It’s was a very good experience coming into Carite. I got low payments and the employees were very friendly and helpful.. I will be referring people to come get their cars from here. Found my new pickup on Autotrader. The listing said it was located in Fort Pierce. Contacted the dealer and spoke with a gentleman named Drew. He informed me that the truck was actually in Orlando and immediately offered to have it delivered back to the dealership in Fort Pierce. However, it being in Orlando worked out really well for me. Instead he traveled to Orlando to process the sale. I had some, what I would consider to be unusual requests throughout the process and he made them all happen for me. After handling the numbers and other stuff over the phone and via Email, the final process took less than an hour. I feel I got a killer deal on the truck and got everything else I needed in order to use it for work with minimal delays. Drew, (though his caller ID says John) put up with my impatience like a champ and got it done! 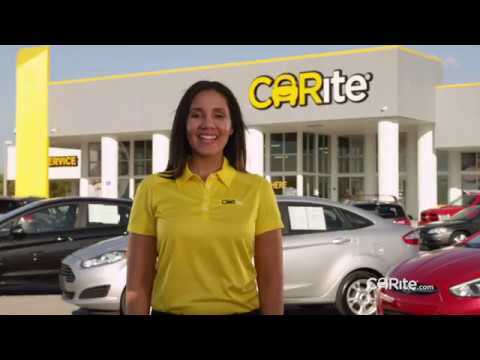 Will certainly do business with CARite for future purchases provided their inventory contains what I need.On a side note, I did travel to the dealership after the deal was done.. from what I could see the service department is very nice and well equipped. There is a customer lounge with free coffee and comfortable seating. Inside is very clean as well. The staff was very courteous and fulfilled my needs as quickly as they could. I am Super satisfied with the vehicle I received the service...the staff was amazing and very steadfast at getting me approved for the vehicle and I thank them. It's been about 6 days and so far I love my car. They were not pushy and gave me a fair about for my trade in. 2005 300 for an 2018 300. Also came with a 4 year warranty.